(Notice: The purchase of a cloud subscription is valid for 1 installment only. Account activation and updated payment information is required via our app or online at myfoscam.com for continued service. Foscam R4 provides 4.0Megapixels (2560×1440p) crystal clear viewing images and seamlessly amazing video stream. Remarkable field of view (FOV) with 350° horizontal Pan and 110° vertical Tilt rotation, creating an almost complete 360° coverage. Image Distortion Correction tech will fix the common image distortion flaws. 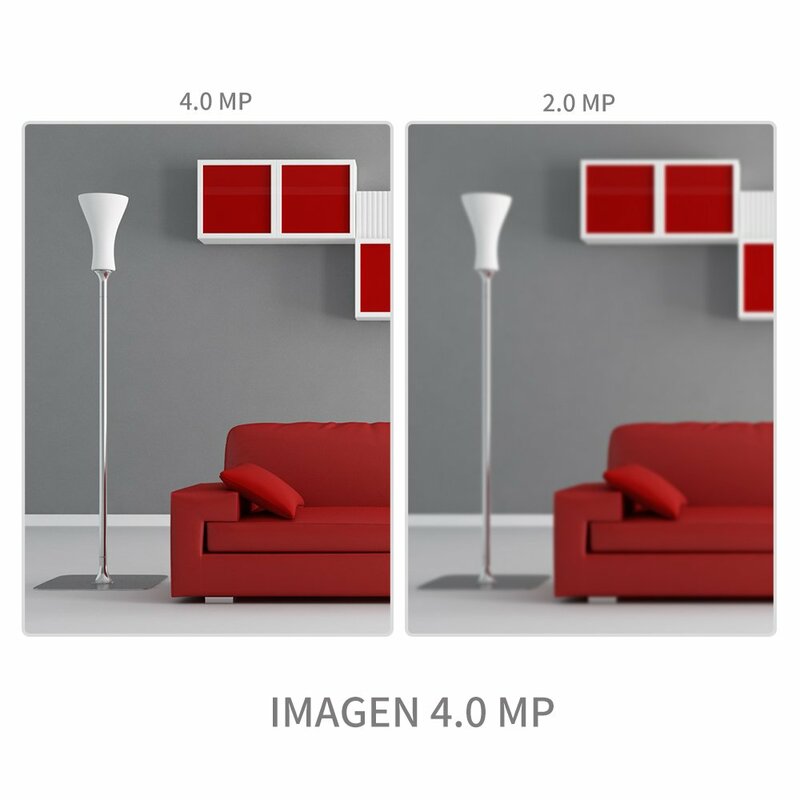 Its 4.0MP Super-HD resolution provides crystal clear viewing of your home or business on your computer or mobile devices and show you more details what your care. Featured our intelligent alerts technology, R4 will detect the movement and then send the real-time notification plus the captured image to your smartphone. 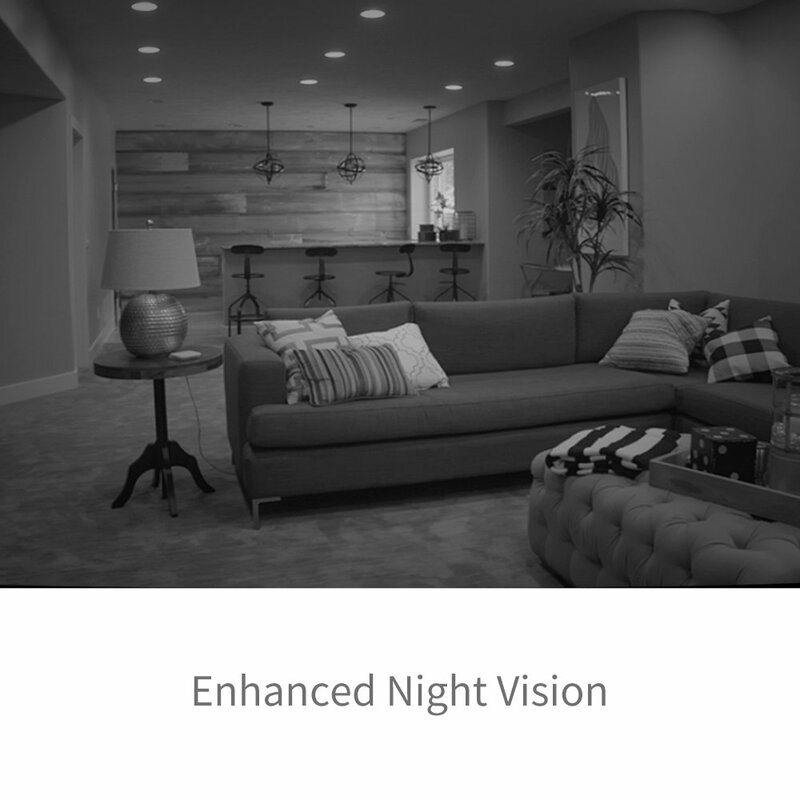 Night vision ranges up to 33 feet in low light or even in the dark thanks to the infrared LEDs. 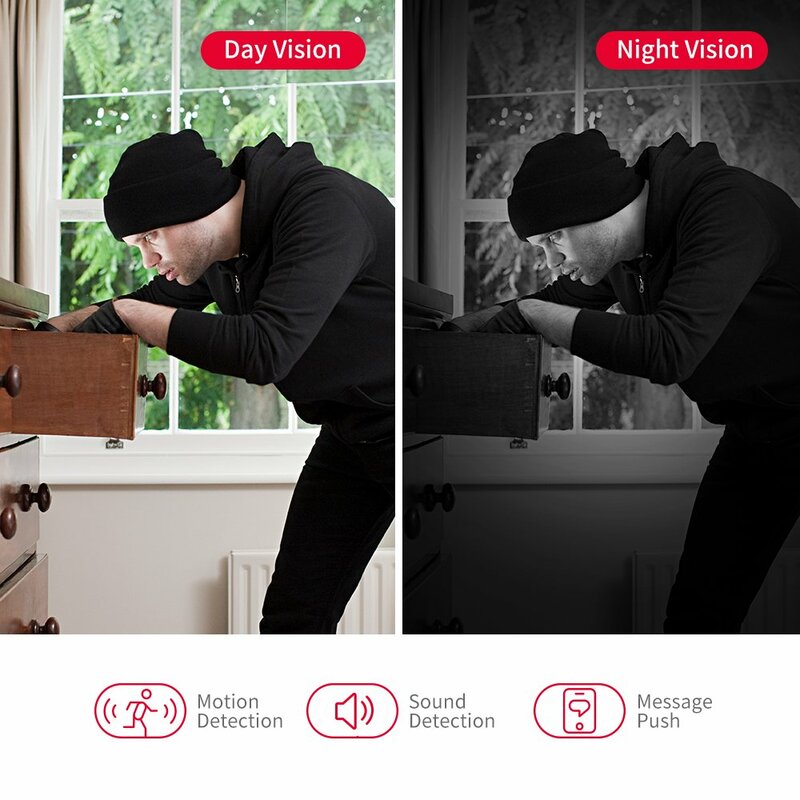 Night vision mode will work automatically based on light change, or be controlled manually on Foscam App. 8 Hours Free Cloud storage with 12 months’ validity available on this device for any Foscam Cloud storage service new subscribers in 2018, and NO data space limitation during the last 8 Hours. Able to view live or play back or save all alert captures and video clips onto the cloud. Thanks to the US-based AWS server, Foscam Cloud is of high-level encrypted security and privacy protection. More option for Cloud Storage available.